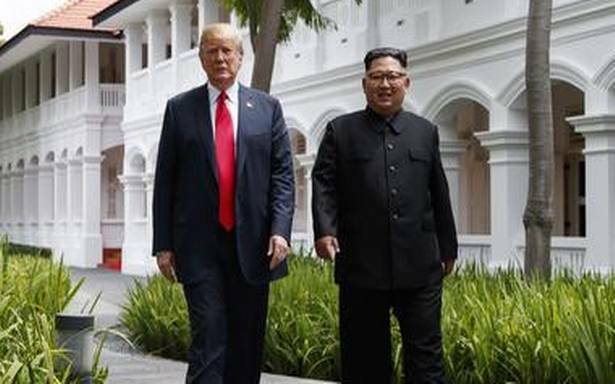 Donald Trump said Secretary of State Mike Pompeo is working out the details for the second Trump-Kim meeting. Mr. Trump is set to meet with South Korea’s Moon Jae-in later on Monday to discuss North Korea and trade details. Mr. Moon is expected to convey to Mr. Trump a personal message from Mr. Kim delivered at their inter-Korean talks last week.